Our aim is to establish the Historic Braumart Theatre as a vibrant cultural arts center with modern amenities to serve as the leading presenting venue in our region. 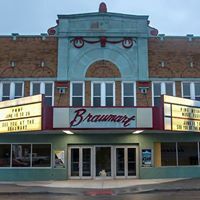 We will develop the Historic Braumart Theatre into a dynamic center which embraces all arts and artists and provides cultural, educational and economic stimulus for the area, in addition to providing a social and cultural gathering space for the community. Have experience with Friends of the Braumart ?